Did you know falling is the leading cause of fatal and non-fatal injuries for older Americans? Falls threaten seniors’ safety and independence and generate enormous economic and personal costs. A growing number of older adults fear falling and, as a result, limit their activities and social engagements, affecting their independence and quality of life. This can result in further physical decline, depression, social isolation, and feelings of helplessness. Talk to a medical professional. Less light reaches the retina in the eye as we age, making contrasting edges, tripping hazards, and obstacles harder to see. A doctor will also be able to determine if medications, whether prescription or over-the-counter can cause dizziness, dehydration or interactions with each other that can lead to a fall. Home safety assessments. 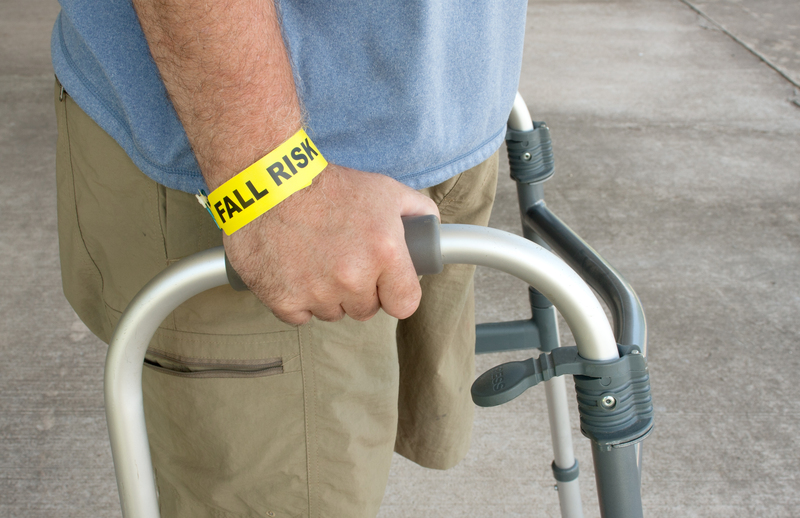 Checking for fall risk factors in the home can help reduce the change of injury. Get rid of things that you could trip over like a throw rug or clutter in high-traffic areas of the home. Add grab bars inside and outside of the tub or shower and next to the toilet. Make sure the home is well-lit. A medical device such as a cane or walker can help a loved one prone to falling keep their balance and assist with maintaining their independence. Enlisting the services of a life alert bracelet or necklace is useful for calling emergency help should a fall occur. Check up on your loved one often to make sure they are taking their medications and following a healthy diet. If distance is an issue, a reputable home care agency can help ensure your loved one stays safe. Wear the right footwear. Socks might be comfortable but they pose a major slipping risk. Wearing shoes in the home can help prevent falls. Fall prevention means injury prevention. Falls and fear of falling don’t have to be facts of life for seniors. Caregivers and physicians alike can offer valuable partnership in preventing falls and safeguarding our senior population.